A family vacation can be so expensive. Costs would double, or triple due to the number of people traveling. If you have a family of four or five it would be wise to consider some items from the list below before heading out on your vacation. Hopefully this list is just the beginning of things you can do to save before your next family vacation. If you have a favorite way to save on your family vacations, please share in the comments below. Search for Coupons: I downright regretted not utilizing coupons, and certificates as much as I could. I would have been able to save so much money on shows, meals and shopping had I planned better. Click here for Yebhi discount. Even if you end up not using the coupons, it doesn’t hurt to have several on hand, or on your computer just in case you end up needing them. And they weight nothing if you can keep them on your phones. 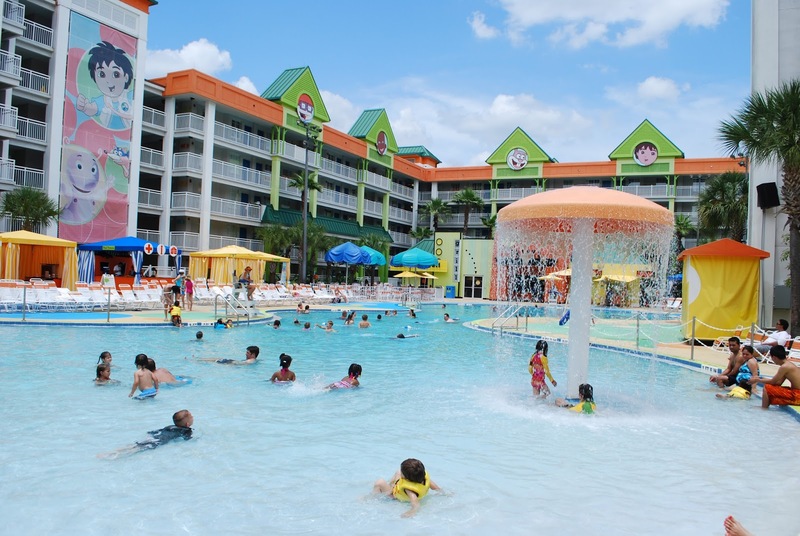 All Inclusive Resorts: Consider taking your family to an all-inclusive resort. It’s like a cruise on land, all meals and drinks are included. It’s great for growing kids and teenagers. We all know, teenagers are like the bottomless pit, they can eat. A typical meal for five people is crazy if you have to do it three times a day, not to mention all those snacks for the children. When you are on vacation, it seems that all you do is eat and play, so don't underestimate the food expense. Off Season: Plane tickets are usually the biggest expense when traveling with a family of four, or five. Consider taking a family vacation off season a bit, like the first week most schools start. Yes, you would have to take your children out of school, but it is so much cheaper. The price of plane tickets is based on supply and demand. Around the time when people are off, it is also generally the time when they want to go away. Try your best to work around those times. Avoid Spring Breaks, Summer Vacations, Christmas Break, and most holidays if you can help it. Use Public Transportation: Use the same transportation that the locals take. They know what they are doing, trust that it is more beneficial, or else, they wouldn’t be doing it. If there are sky trains, buses available, you should use them. If you and your family are going to be in in one destination for a few weeks, it might benefit you to buy a regular pass. And if you are not comfortable with the commitment, at times you might be able to reuse the same card, ticket, or pass. Check with the transit system. Don’t throw those cards away. We have been on at least two transit systems that reused the card, ticket, or pass for a discount on the next trip, or even a free trip after so many times. Stay at Vacation Rentals: Family vacation with five people, staying at the hotels could be very costly. Hotels like to book in twos, meaning two adults to one room. Most of the time they are ok with one child, but not three. They will either want you to book a different room for the other two children, sell you a suite, or ask that you pay for the additional guests. Instead of going to the hotels for your vacations, try and find a vacation rental instead. Such as the house in the video below. It comes furnished with everything you can imagine. From beds, washer and dryer, kitchen utensils to beach toys for the kids. You can cook a few meals to save tons of money on a week’s vacation, or two! And the price is usually less than a night in a nice hotel considering all the comforts that you would get in return. Hi Jennifer, thanks for stopping by. I will swing by your blog to see you! I wish I could travel off season, but not with my kind of work. These are great tips to save when taking family vacation. I know, it's true, I can't either with the kids schedule. Although I am getting braver by the day about missing school. We tend to sock a little away out of each paycheck into a special vacation savings account. We were able to pay cash for our entire Disney trip last year. We are planning another Disney trip for next fall, and have started another vacation fund to try and do it again by not charging any of the trip costs. That is really awesome Theresa. I can't believe you would want to pay cash for everything but it is a good way to make sure you stay within the budget. Coupons on vacation is an awesome idea (thunking myself in the head for not thinking of it before). I look for discounts to buy tickets/book trips, but never think to look for them for the places we'll go once we arrive! I have used a couple of them, and wished I had done more. It carries well on the electronic devices. Awesome tips! We go to Disney World every year and always do the dining plan, so we never have to worry about extra money for food. Plus, it ends up saving us money in the long run by doing that. Nice tip, and you are so lucky to be able to do Disney World every year. I am so envious of your vacation. smiles. Love saving money year round - even on vacations! This is a great idea. I like looking for the coupons for the places we plan to visit before we hit the road too! Great ideas! Thank you. I should have done it more, like I said. Planning is such a chore, but the rewards are invaluable. One day I'd really love to do an all inclusive resort. Just relax. I hope you can do that soon. You so deserve it! I know exactly how expensive a vacation can be. We recently spent 3 months in the US and on the last week there, we took a vacation to San Diego. For the rest of the time, we rented a house, but as soon as we left that house, we had to rent hotel rooms and buy food 3 times a day. This was very costly for our family of 5. As you said, if you have 3 children, this can be a killer number. Most hotels cater for 2 adults and 2 kids. You normally have to get an extra room for the third child. Even when you do activities, that third child always costs extra. They know how to get you that way. The worst one for me is my first two are adults and the third is a child. It can get complicated and very expensive. Eating out is very costly. I hope you had a good time in the US though. What an experience it must have been for you and your family. smiles. Fantastic ideas and very helpful tips! Traveling off season is one of the benefits to homeschooling! We can travel when everyone else is at school!